I hope being the first to make a comment isn't a jinx! I'll be English Paper Piecing all weekend. Thank you and thanks Fat Quarter Shop! Presently.... I'm living for the loooong weekend. 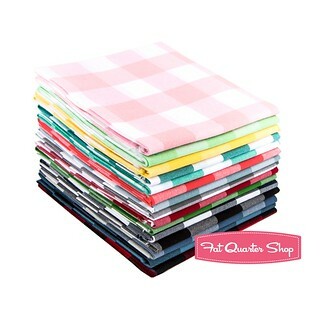 I am looking at some baby quilts that need to be started, ASAP! 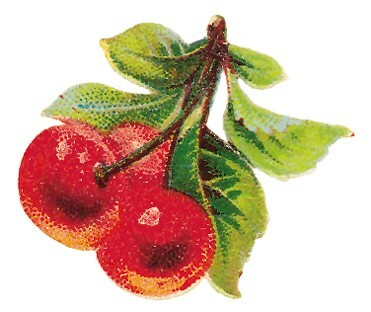 Ginghams...... the best!! Happy weekend to you and thanks for the drawing!! I am working on a Christmas applique quilt. Would love to have it done for December but as this is my third year of working on it - that would be a miracle! Thanks for the chance to win such a great bundle! I'm working on a Coca Cola quilt for my FIL for Christmas. He worked for Coke for 30+ years. I have the front complete and am working on a pieced back. I'm nearly finished with a quilt I'm making for my son. It's HUGE and I'll be so happy to move on to a much smaller project. Hopefully the quilter will have it by next week! Gingham and polka dots are my favorites. I'm collecting patterns and fabric to start a king-sized quilt for my bed. The first one I'm attempting to make. Love the gingham prints! It's so nice to have a month for me and my many friends. Sewing and quilting give me so much satisfaction. I 💗💗💗 to sew! I am working on four quilts. Crazy I know!!! Enjoy your month everyone. I'm planning out the new quilt I'm working on for grandchild #6!!!! Love those plaids. Thanks for a chance to win. Great fabrics! THanks for thinking of us! Just finished my Easy Addition quilt, so stoked! Not sure what's up next, something in yellow, gray and pop of turquoise I think. Although I just ordered a bolt ( yes a bolt) of American Jane Pin Dot so maybe I need to cut into that...oh wait, I have 2 Christmas quilts to make...lol. ( and let's not talk about ufos) And it's September, time to get the pumpkins out! Working on a Elephant softie for my newest granddaughter. I'm working on Farm Girl Vintage as a sample for a QAL for my guild!!! It's so much fun! I love Buffalo Plaids! I am making a Boxcar Tote right now, as well as the wonky churn dash quilt in Natalia Bonner's One Block Quilts book. 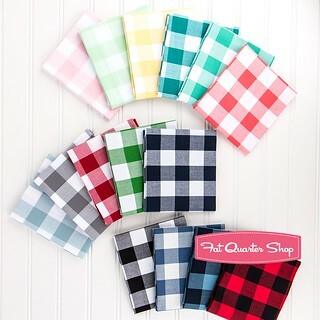 These plaids would make a great Boxcar Tote! Oh my gosh I just love gingham. I must have 4 gingham shirts in my closet. I'm finishing up some bee blocks! Making a table runner and quilting a quilt for my daughter. The ginghams are lovely. I'm trying to finish a baby quilt. However, my Scottie, Maggie just had surgery so I am on caretaker duty! I'm think about starting a new quilt from the Piece O'Cake team. I've been finishing up old projects all year and have been on a fabric diet because of that. I'm really starting to get the itch and don't know if I should carry on with UFO's (like I planned for 2016) or start something new. I love the Buffalo Checks. I've been working on some Christmas stockings and put holders using the local state college colors. I can't believe it is September already! I'm trying to finish making my blocks for the FQS Crossroads quilt along. Thanks for the giveaway-I love gingham! I'm working on memory t-shirt quilts...designing and planning are finished. Now for the fun part of actually cutting fabrics and sewing. Love these! Starting some Christmas quilts and catching up some epp projects this weekend. I'm not sure there will be enough hours in the weekend to finish my list even with the extra day! I love all sizes of ginghams! 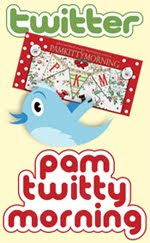 Currently working on Lori Holt's Cozy Christmas Sew-a-Long. Thank you for the giveaway! I'm making hexies, drawing inspiration from Pinterest and IG, and wishing Fall would come sooner to Central Californi. This bundle looks lovely and cheerful! I've got a boatload to do. Got to bind my Pulse quilt & send it off to the Miami quilt guild for donation by the 15th. I have about 10 tablerunners scattered around in various stages of quilting, plus 2 baby quilts to do. No shortage of projects here! 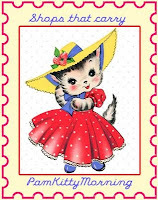 i will be working on pillows -- i had a picture of my sweet little grandma printed on 12" blocks of white fabric at a T-shirt shop, and now i am cutting 2 1/2" strips of 30s fabric in red, yellow, apple green, blue, etc. to border the picture with. i will use a large gingham for the back. my first one is already starting to look so cute! these are for some of the ladies coming to our Leyva Ladies Girls Day Out celebration! 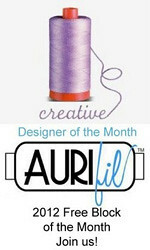 What a great giveaway, could sure that fabric bundle right now! Hello! I'm catching up on quilting projects that have been lingering this summer while we acclimated to a new puppy. Amazing how I could be surprised by what I found in a pile of quilty things in my own sewing room...Amazing, or sad? Let's go with, I had some awesome surprises recently. Beautiful ginghams! Thank you for the opportunity to win those yummies! I love gingham and it would go so well with Pam Kitty fabrics! 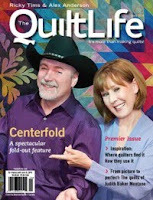 You betcha I will be quilting my brother's surprise retirement quilt. I already follow FQS on IG. I LOVE gingham. My first sewing project in school was the cross stitched gingham apron.I need to baste, quilt, and bind a baby quilt this weekend, and try to finish some WIPs. I will be putting the back of a quilt for my sister together, binding a table topper for my mom and hopefully starting one for my aunt. So much to do, so little time! I'll be working on two Christmas quilts and finishing up a crocheted shawl that is a donation. Love these plaids. I'm working on a Christmas tree skirt. I'm trying to be on the ball this year, lol. I'm trying to finish my last WIP so I can start something new. Working on some clothing. Love the gingham! Big, fat gingham - I love it! I'm working on a Jen Kingwell pattern - Green Tea and Sweet Beans. It has been on my "quilt bucket list" for a long time! Love the gingham fabrics! I'm currently working on a quilt for my brother-in-law! I love gingham and these are beautiful! I'll be learning more quilting techniques and practising them coz I'm just a beginner quilter.. I have been using some of my scraps to make Barbie clothes. I'll be sewing place mats this weekend :)! Beautiful gingham - thank you for the giveaway chance! Gorgeous ginghams! I will be doing some English paper piecing the next few days. Happy weekend, Pam! Love these ginghams! I will be making a back for a top I have done and working on making 3 quilts from simple squares for the guys to take to the duck lease. love the ginghams and especially enjoy making them "play" with other fabrics. Just about to start the Lori Holt Christmas quilt....will probably become a collection of trivets/hot pads and table toppers. Can't wait! I am a big fan of ginghams too. I hope to make progress on a quilt I am using quilt as you go technique on. I don't Instagram, but I follow FQS on bloglovin' and facebook. Love those ginghams! Thanks for the chance to win. I am doing the sewing for my niece's baby nursery. She's expecting a girl in November. I am also working on using up scraps for charity quilts. Would love to win. Those are gorgeous! 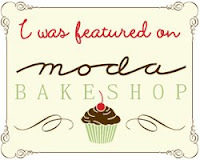 I am finishing up a few items that have been lingering in my sewing room! I actually was planning to work on some little doll clothes for a friend. I opened up this posting and "oooed and ahhhhed" over those checks before noticing it was a giveaway. How darling! 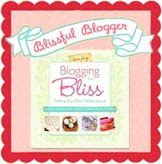 Love that you post on your blog! Thankyouverymuch! I'm working on a small improv QAYG pouch today. Thanks for the chance at this fun giveaway! I'm working on a mystery. Sew much fun. Love those ginghams. No sewing this weekend. Bike riding, hiking, yard work, reading, a little non-sewing crafting. Love gingham! I'm making some hexies while laying on the couch recovering from a mild case of food poisoning. No fun, but pretty fabric makes everything better! Loving the long Labor Day weekend and working on my Beehive Block for swapping, it's so much fun! Love these ginghams- adorable! Thanks to you and FQS for fun giveaway!! I loooove these ginghams so much! Thanks for the chance to win! Robert Kaufman has done such a nice job on these! I would love to get my hands on some other of these to play with. Thanks FQS and PamKitty for holding this giveaway! Working on 2 applique quilts. Would love to win this gingham fabric. It would be stepping out of the box for me. Thank you for the giveaway. No sewing for me this weekend! I housed and fed 17 family members. There was swimming, game playing, football watching and lots of laughter! Love the gingham. Happy Labor Day!